Take a break from all that "holiday cheer." 1. A magnetic zen garden that'll help you become the (magnetic) force of nature you know you are when you're able to "garden" through the daily grind. This kit includes three magnetic rocks and three mini-gardening tools. Get it from Amazon for $31.77. 2. A massaging shower head with 30 different settings so you can wash away the stress of the day, literally. 3. A box of essential oil incense — they're gonna be, well, essential when you need to breathe in some relief. Get a box of 20 from Free People for $16 (available in three scents). 4. 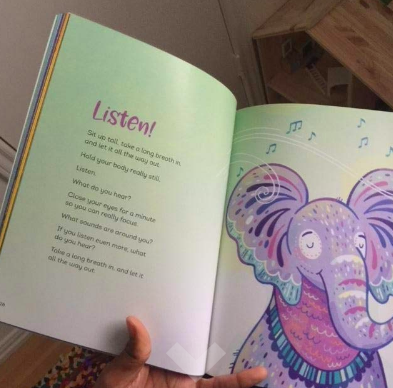 A stress relieving book that'll help you stay centered when you find yourself reading into things too much. 5. An eye massager — it may help ease migraines and act as a source of stress relief for anyone whose tension is not just a weight on their shoulders. This uses air pressure and light vibrations to relieve fatigue, pain, stress, and puffiness around the eyes. And it decided to keep the luxury coming with a heat compress and built-in music settings to help you really relax. It uses a rechargeable lithium battery with USB and it'll last a full week when used 15 minutes a day, so feel free to treat yourself daily! 6. A color changing Himalayan salt lamp — with a personality as salty (and sweet) as an actual cat — that's gonna help make a calming space to have your own cat nap. Get it from Urban Outfitters for $29 or get a traditional salt lamp from Amazon for $16.99. 7. 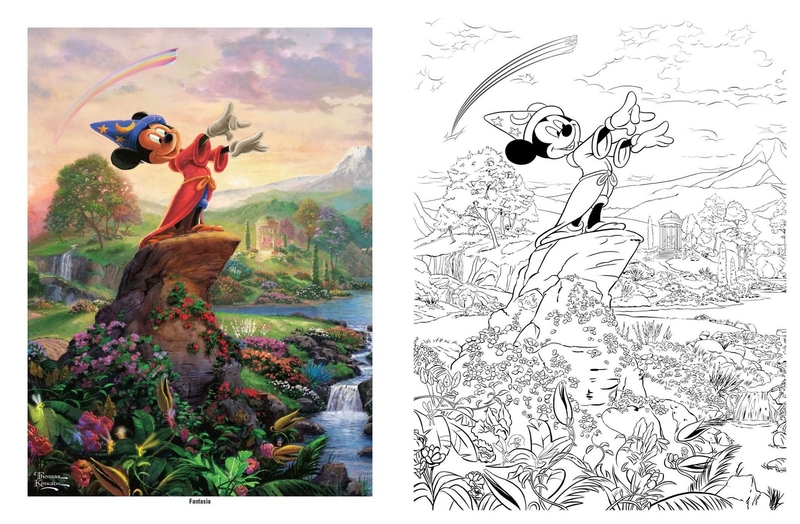 A Disney coloring book that'll calm you down so quick it'll seem like magic. 8. 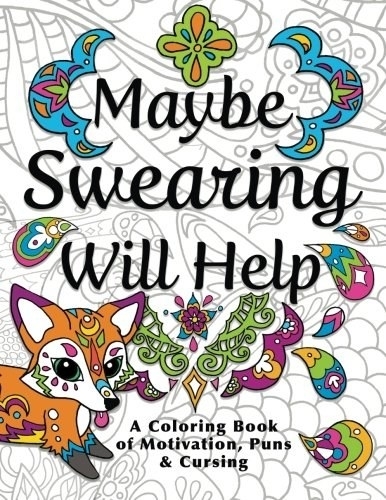 Or an adult coloring book sure to be so cussing fun to color in when you need some "me" time. 9. A soothing lavender pillow so that falling asleep fast and having a restful night's sleep is no longer just a dream. Get it from Amazon for $54.99+ (available in three sizes). 10. A levitating bonsai you can watch rotate when you meditate and want to feel light as air. 11. 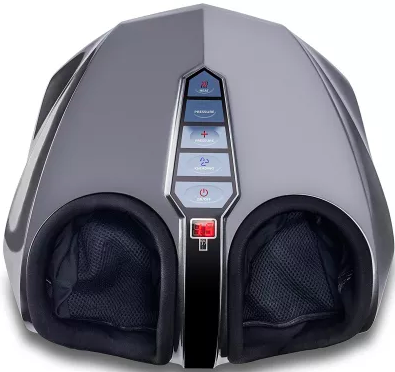 A scalp massager (which is great also for getting a deep shampoo) for anyone who knows that the best way to calm a loud mind is with a soft massage. You can read more about how this scalp massager helps me relax in this review. 12. 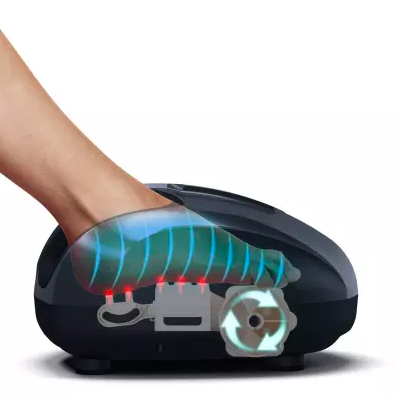 Or a deep-kneading foot massager that'll give you a moment of zen when your dogs have been barking all day. 13. A weighted blanket for adults and children who have a hard time calming down at bedtime and need to feel extra tucked-in at night. Get it from Amazon for $65.50+ (available in seven colors and 11 sizes). 14. A pack of aromatic shower tablets so you can enjoy the benefits of a bath bomb even if you don't have a bathtub. Get a pack of nine from UncommonGoods for $26. 15. 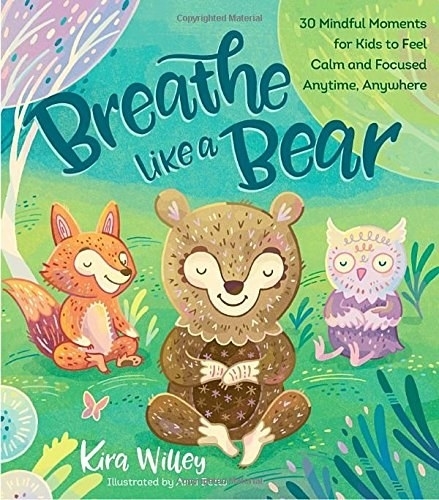 A picture book on deep breathing to help calm little kiddos who have a hard time managing their stress on occasion. 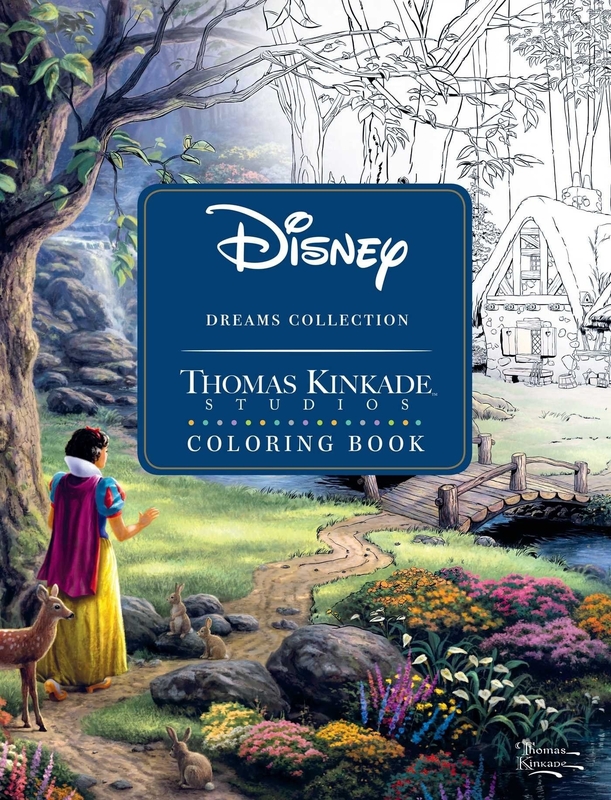 Get it from Amazon for $13.22. 16. A bamboo mini water fountain you can set up in your yard or even in your living room to immerse yourself in the calming sounds of a spa. 17. A head scratcher that'll feel so good you'll forget all about whatever was worrying you. Unnecessary stress? Scratch that! Get it from Amazon for $6.95 (available in six colors). 18. A mini magnet toy you can manipulate and mold all day to keep your hands busy and your mind clear. These are for adults only, due to their swallowable parts. 19. 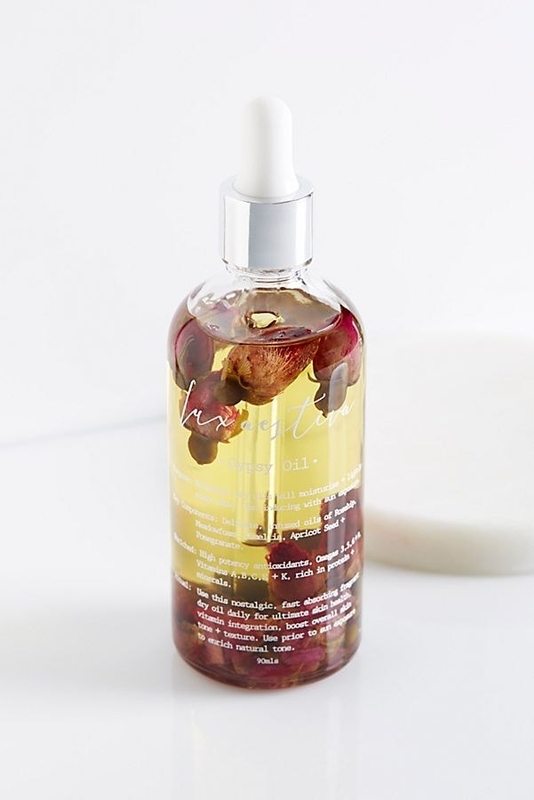 A calming body oil everybody is gonna be jealous of. Get it from Free People for $33. 20. A pack of stress relieving tea that'll warm you up so you can chill out. I drink these whenever I want to feel relaxed without getting sleepy. They are my go-to after stressful days! Get 96 tea bags on Amazon for $22.70. 21. An essential oil diffuser for anyone who needs to occasionally ~diffuse~ a bad situation by reminding themselves to take a deep breath. Get it from Amazon for $65.75 or Urban Outfitters for $65. 22. 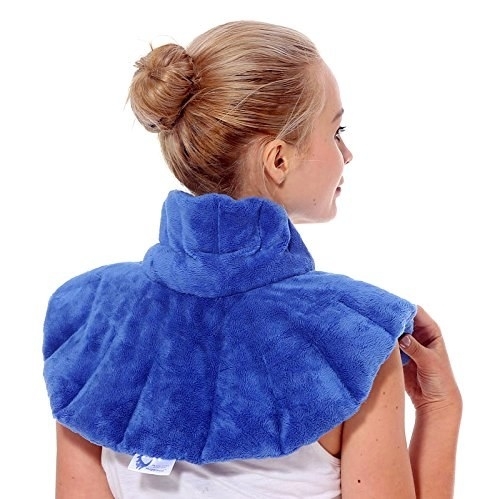 An aromatherapy hot/cold wrap that'll ~shoulder~ the burden of easing your stress whenever you need it. 23. 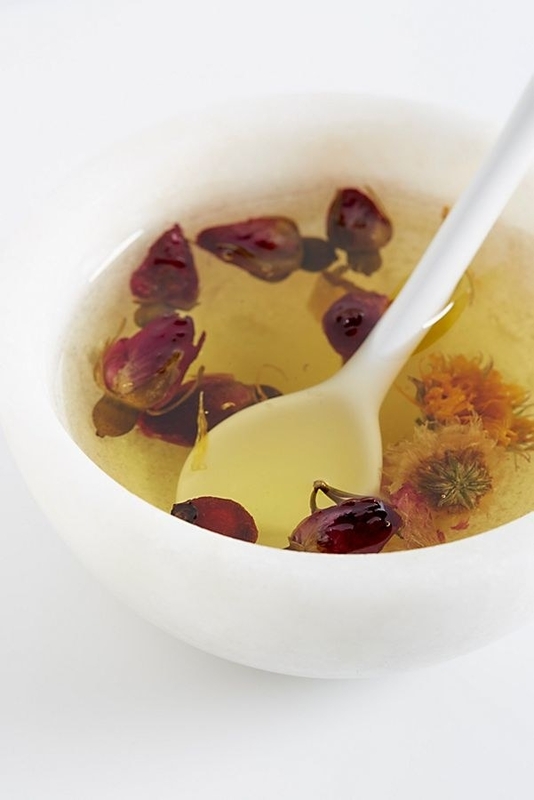 A two-piece singing bowl set so you can wash yourself in a calming sound bath. 24. A comfy pillow that'll remind you a nap is the often the perfect medicine. 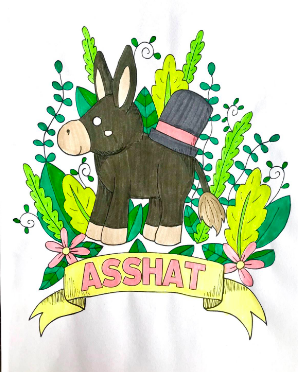 Get it from anneamanda on Society6 for $29.99+ (available in two styles and four sizes). 25. And finally, a pimple-popping pad for anyone who needs a strangely soothing (and, sure, totally nasty) activity before they burst. This includes a silicone pad with 16 popping pores, a bottle of "puss," and a refilling tool. Get it from Firebox for $25.99. How you're gonna feel after using any of these products. 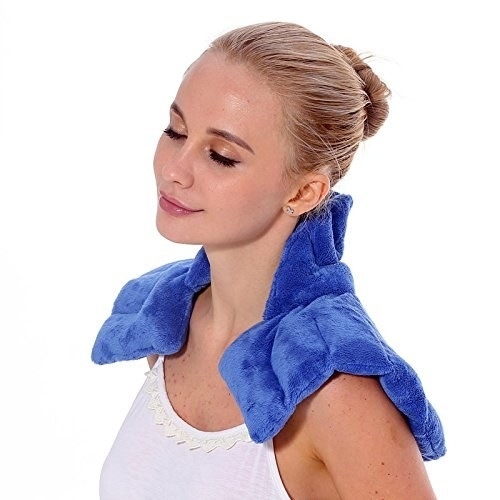 Check out the posts below for more stress-relieving products!